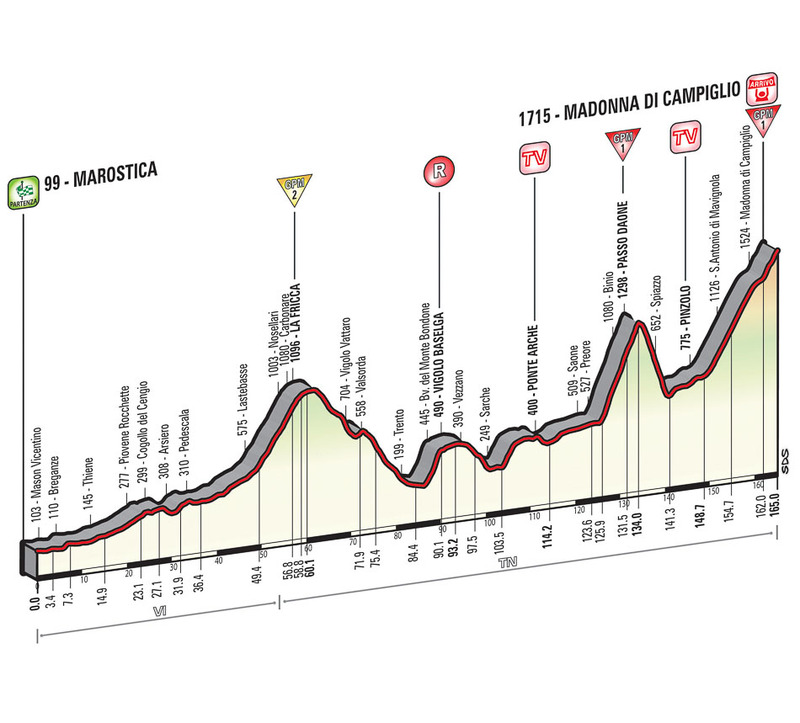 There’s no such thing as a quiet day at the Giro. Those who still believed that got to see the truth on Friday, when both Alberto Contador and Richie Porte crashed with just 200 meters before going in the last three kilometers – where they would have been safe – and so lost time to Fabio Aru and Rigoberto Uran, the only important GC riders who were left unscathed. As a result, the Italian took the pink jersey and now has a 19-second advantage over Contador, while Porte is more than five minutes behind and looks like he is out of the contention for the trophy. At the finish in Lido di Jesolo, Lampre-Merida’s Sacha Modolo defeated Giacomo Nizzolo and scored his first victory in a Grand Tour, at the age of 27. 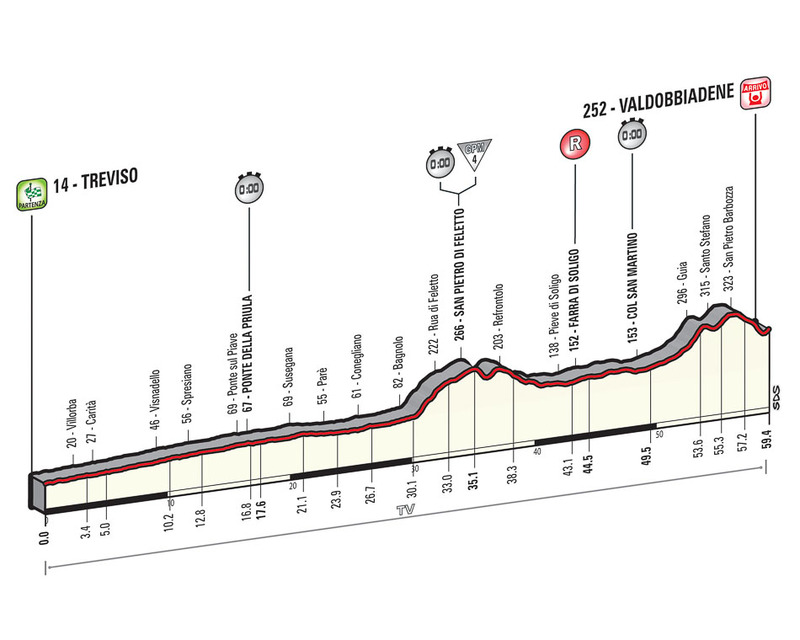 Stage 14 brings the sole individual time trial of the 98th edition, between Trevio and Valdobbiadene (54,2 kilometers). 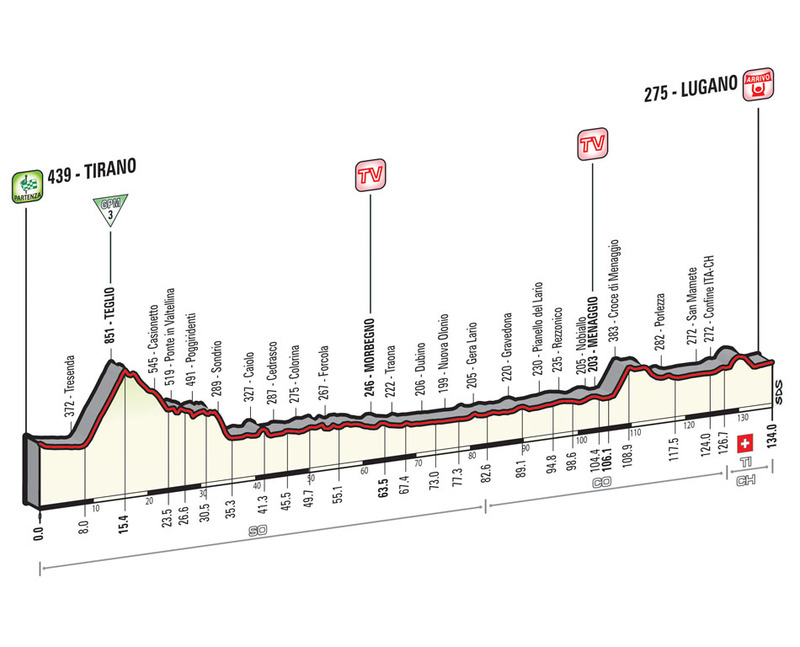 This long and challenging ITT is raced against the background of the Prosecco vineyards. The stage can be clearly divided into two halves. The first 30 kilometers, from Treviso to Conegliano, run along level, wide and straight roads, with a few roundabouts in between. 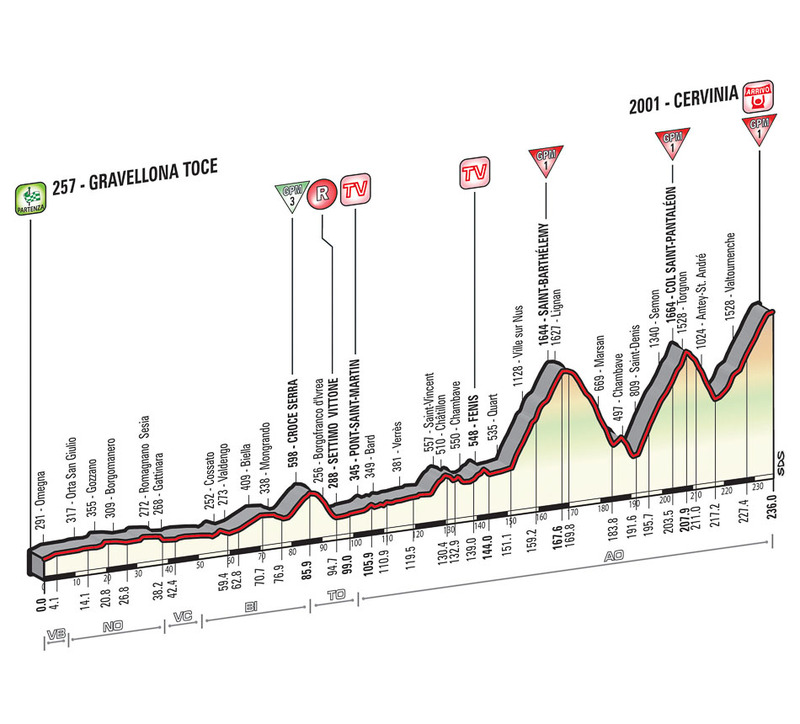 The following 29,4 kilometers are indeed challenging, with a climb of approximately three kilometers at a 7% gradient just past Conegliano, and an ever-undulating route, winding its way across the hills on narrow yet excellently surfaced roads. 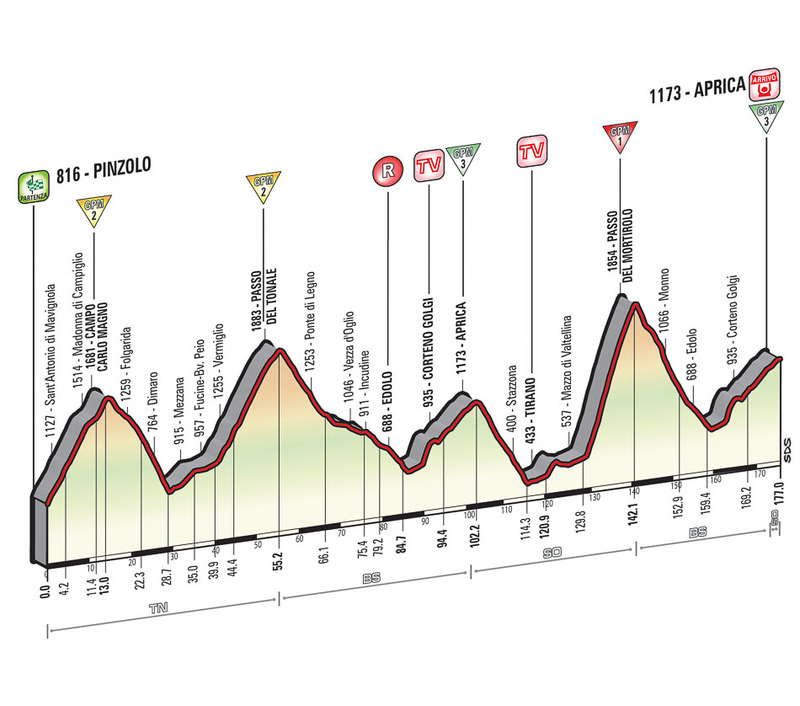 The last three kilometers of the stage run downhill up to 400 meters from the end. A challenging left-hand bend 750 meters before the finish is followed by a right-hand bend with 500 meters to go (still in the downhill sector). 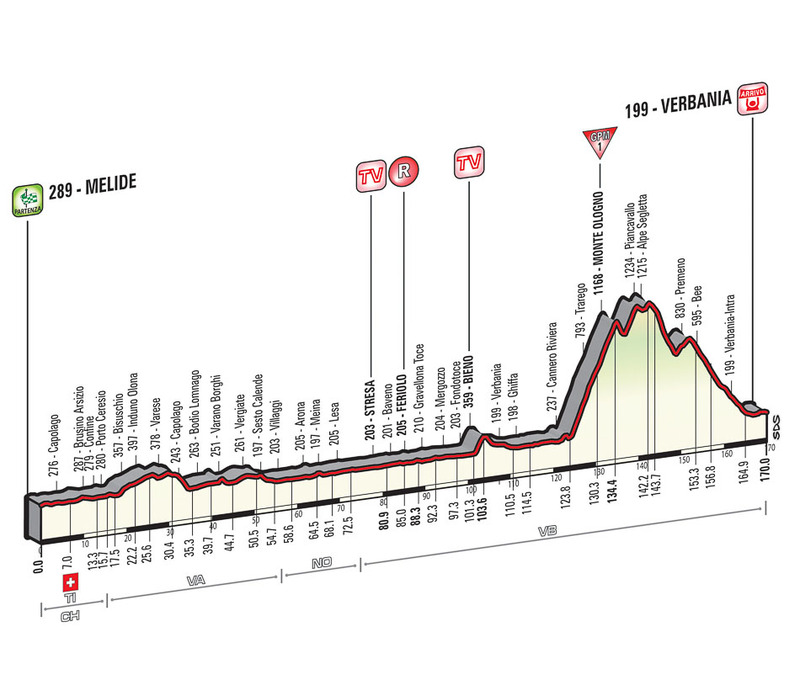 Just 400 meters before the finish, the last bend leads into the home straight of Valdobbiadene: 400 meters with a 5,5% gradient, on 6-m wide asphalt road. After a difficult first week, Rigoberto Uran will be fired up to come back into contention and do a great time trial, that will bring him not only the win, but also a place on the podium. National champion of Colombia in the ITT, Uran should make a great race – if he feels good – and create some big gaps between him and the pink jersey rivals. 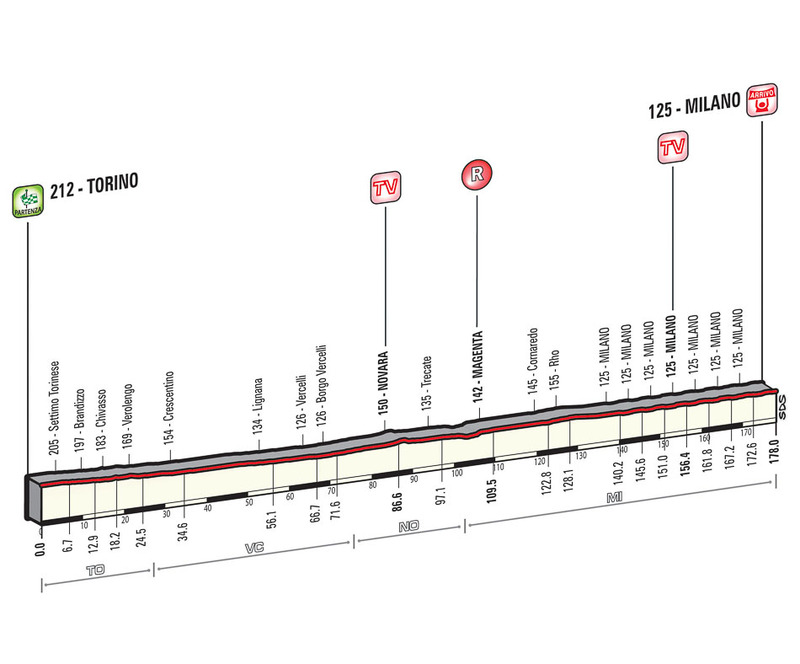 For Richie Porte, it’s going to be a tough task to be on the top spot at Milan, but one thing certain is that the 30-year-old Aussie will try to bring a smile on his face with a strong ride and a victory in stage 14, at the end of which he can partially relaunch his Giro d’Italia bid. On Friday, Alberto Contador lost the leader’s jersey in a Grand Tour for the first time in his career, after being involved in the same crash as Porte. The Spaniard hit his left shoulder, but it isn’t anything serious, so this means he will be fine and very motivated at the start of the time trial, in order to regain the top position, which is held by Fabio Aru. The Italian isn’t known for his skills against the clock, but he worked hard on it during the past winner, so he can surprise everyone with a ride that can help him limit the damages. When it comes to other cyclists who can fight for the win or the podium, Ilnur Zakarin – a former ITT national chamion – Dario Cataldo, Luke Durbridge Vasil Kiryienka and Ion Izagirre are the men to watch out for. 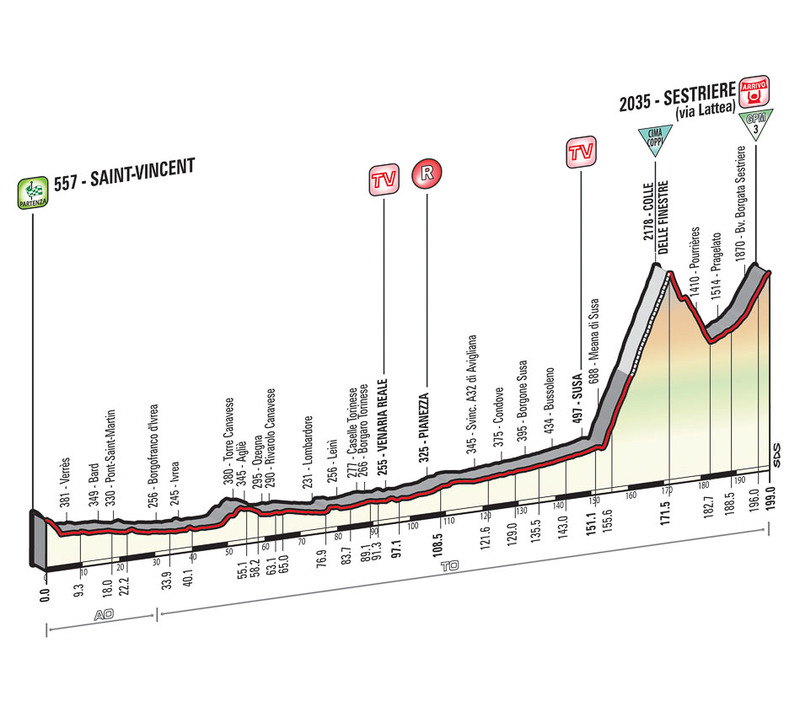 Valdobbiadene has hosted a Corsa Rosa stage only once, in 2009, when Alessandro Petacchi scored one of his last victories in the race, after finishing ahead of Tyler Farrar and Francesco Gavazzi.